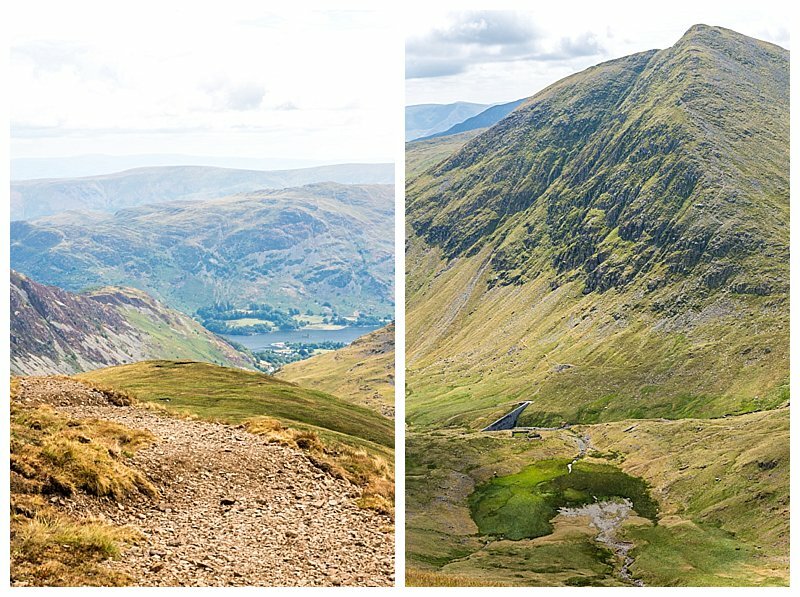 In 2018, the general public got to vote on what they felt was Britain’s Favourite Walks and so we went to check out for ourselves, if Helvellyn via Striding Edge deserved the number 1 top spot. Spoiler Alert. It is pretty spectacular! 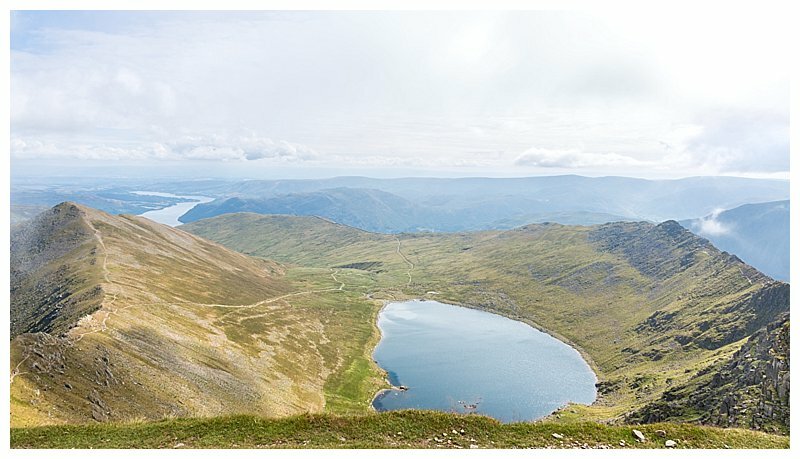 Moving to the Lake District, we know there are so many walks, Wainwrights, mountains and more to experience, but for Damian, there are two in particular he wanted to climb. 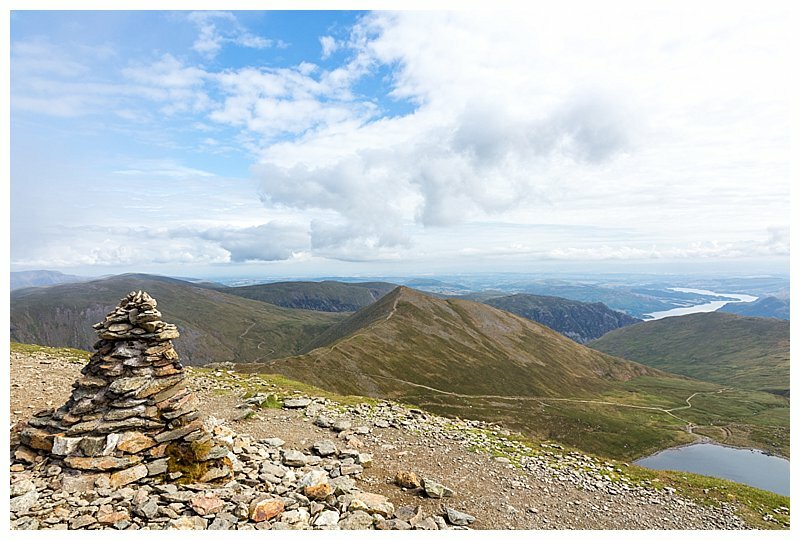 One is Scafell Pike, (number 5 on on the top 100 list) as this means we will have finally achieved the third of the UK’s highest peaks and we have as yet, at the point of writing this blog, still to walk this particular mountain. 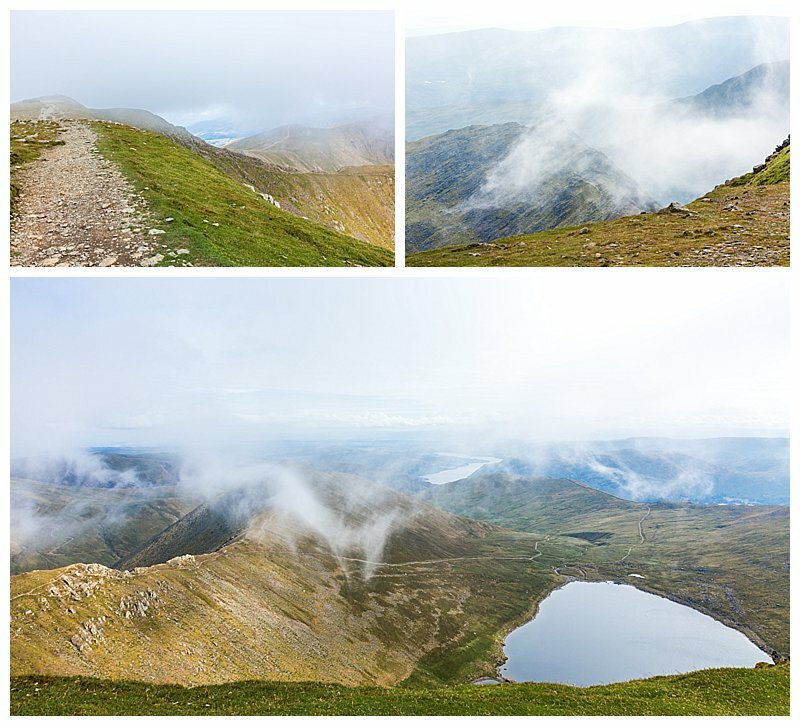 The second was to walk to the top of Helvellyn, including taking the route along Striding Edge. 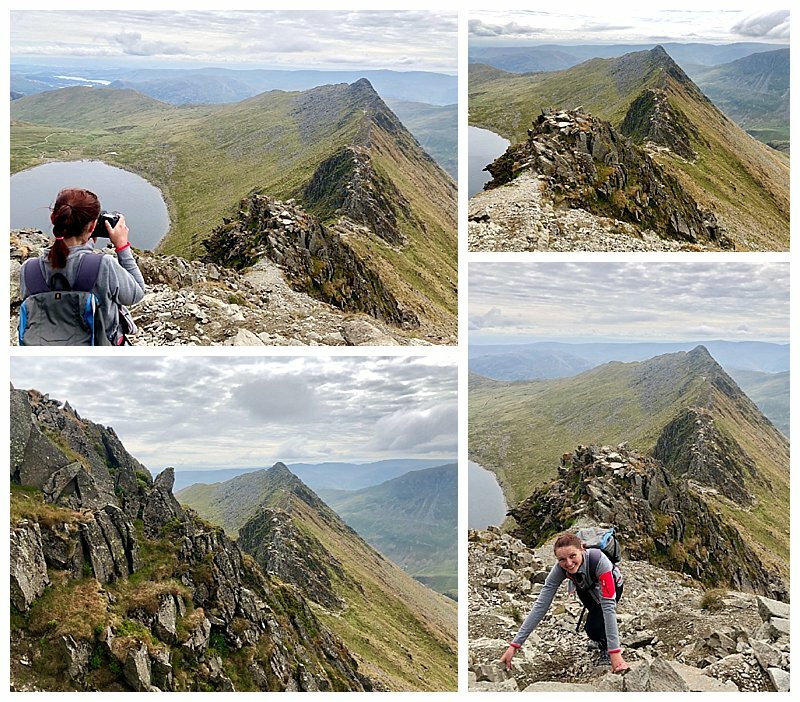 For myself (Joanne), I don’t have a particular bucket list of hills to tick off, but I did know that Striding Edge was going to be my nemesis until we did it and so I was keen to tackle it as soon as possible. With most new things in life, I don’t want to research them, read articles, or watch videos, as I want an experience to be new to me and not be swayed by others. I also like to get on with the things I am most scared of first. 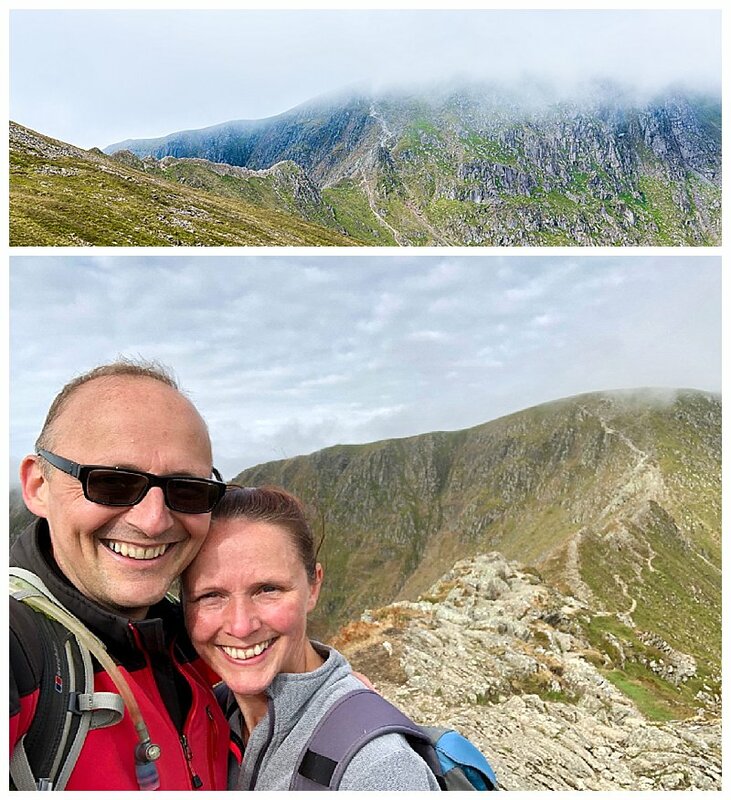 So when Damian was planning and said there were several ways we could walk to and from the summit of Helvellyn, I chose the route that took in Striding Edge first. 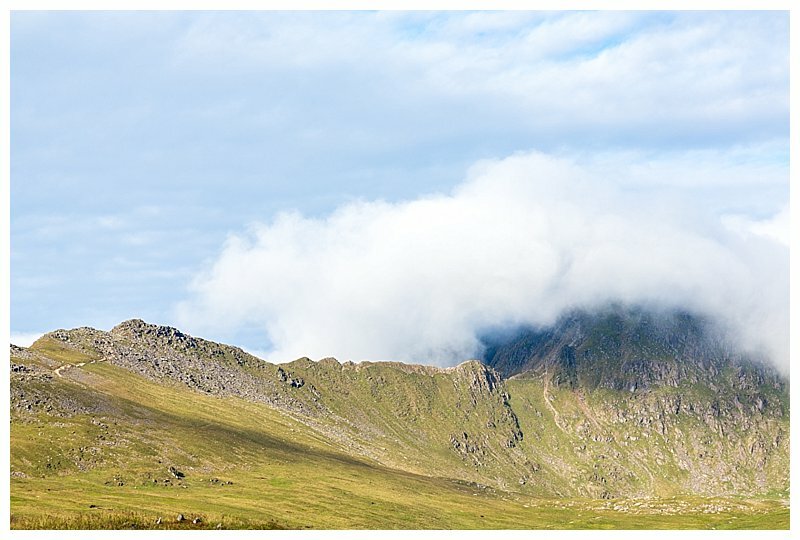 I didn’t need to camp below it the night before and see it to ready myself. 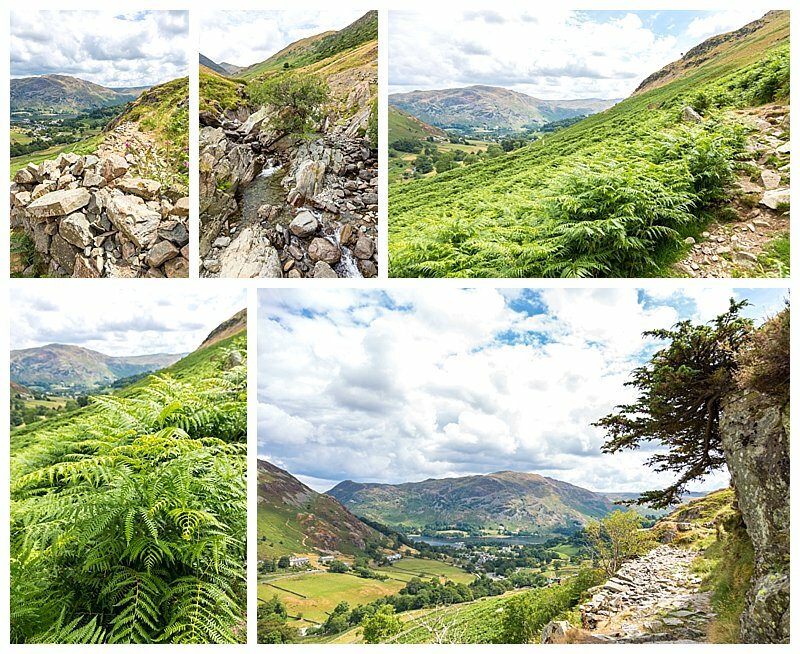 I didn’t want to take one of the alternative paths that meant I would have it in full view as I went along for a lot of the walk. 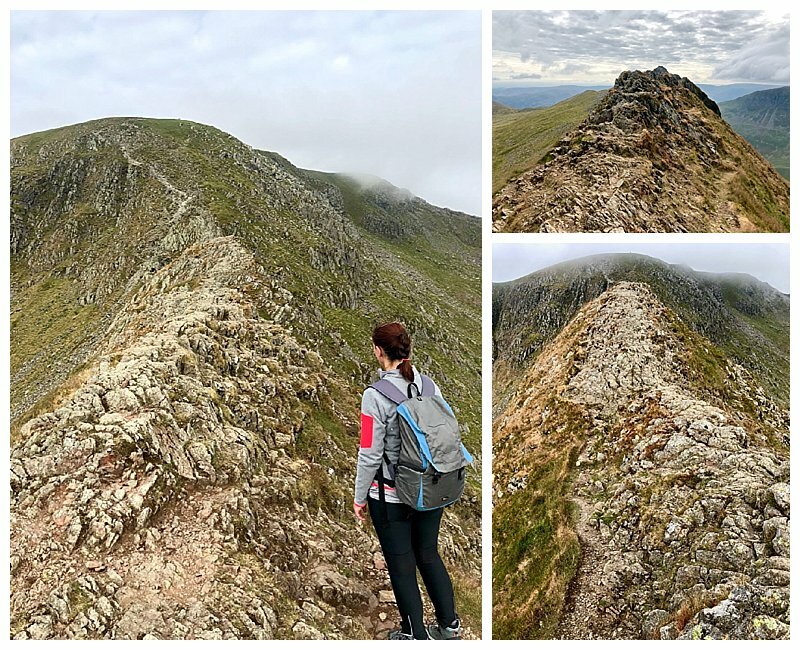 I wanted to reach the top of the route and then be upon it straight away, giving me the least amount of time to think about it before my walking boots stepped on to it. So if like me, you don’t want to research first, click off the blog now. 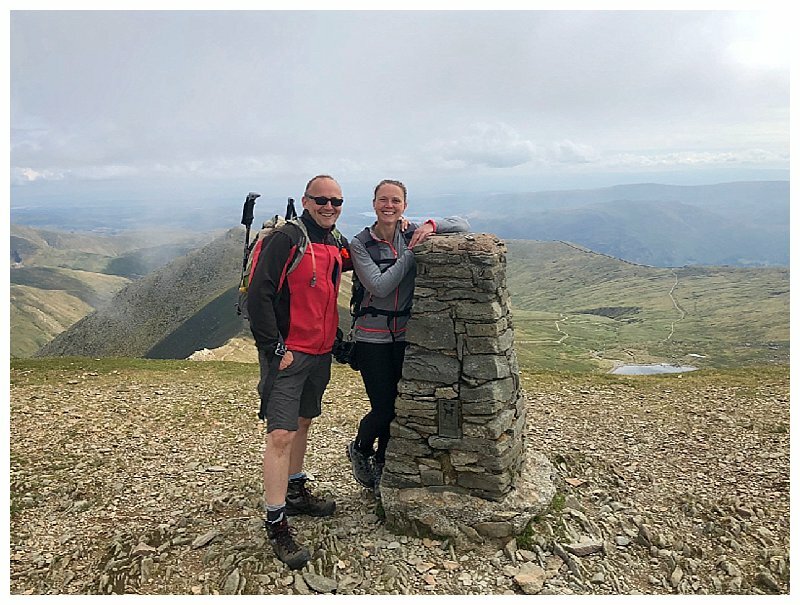 If like Damian, you are a planner and want to hear about how others found the walk up Helvellyn and especially from the two different view points of a guy who has been taking Mountain Leadership training and a girl who doesn’t like edges and has an irrational dislike of heights, then this is the blog for you. 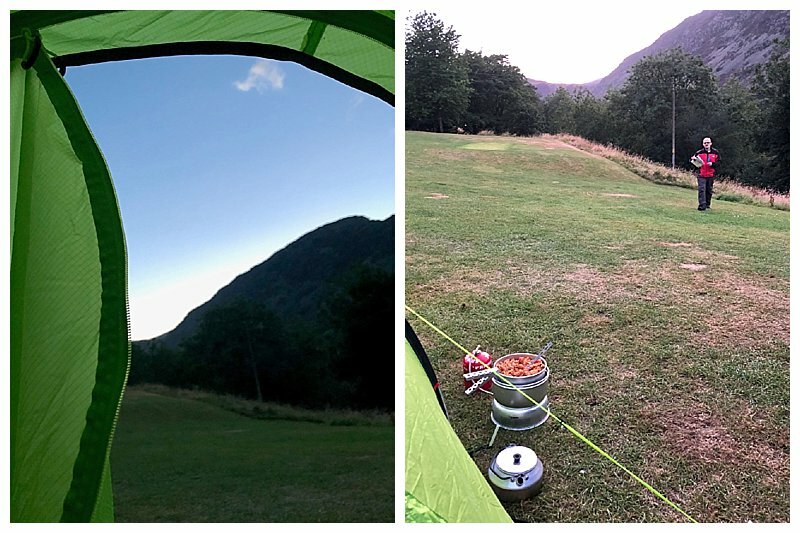 Rather than wild camping and taking the tent and a bigger rucksack on the trail, we choose to stay in the ideally located Gillside Campsite in Glenridding the night before so we could leave all our kit in the car and also be at the base of the walk ready for an early morning start to avoid any crowds on Striding Edge. 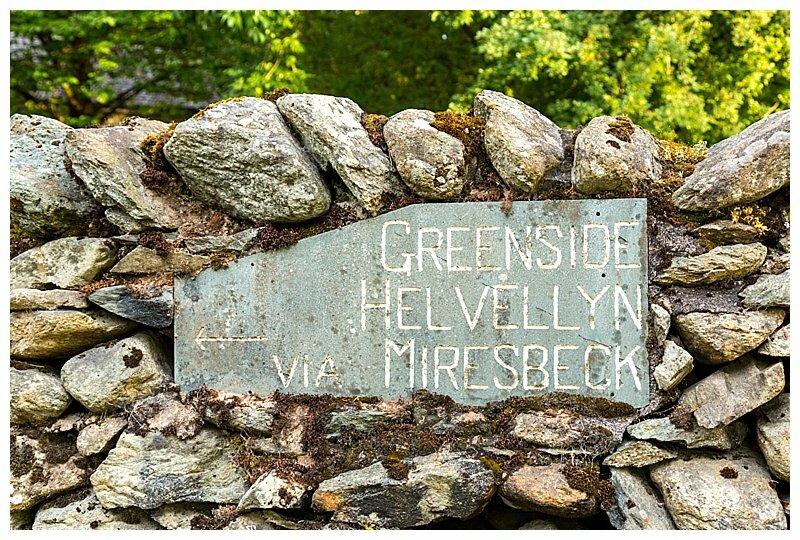 We took the trail up to Helvellyn via Mires Beck and whilst this is an absolute uphill trek of 700m all in one go, we found it the best route for us. Just think of it as an hour’s HIIT class and the rest of your walk seems gentle after this. The views when you look back though in the morning light are beautiful. 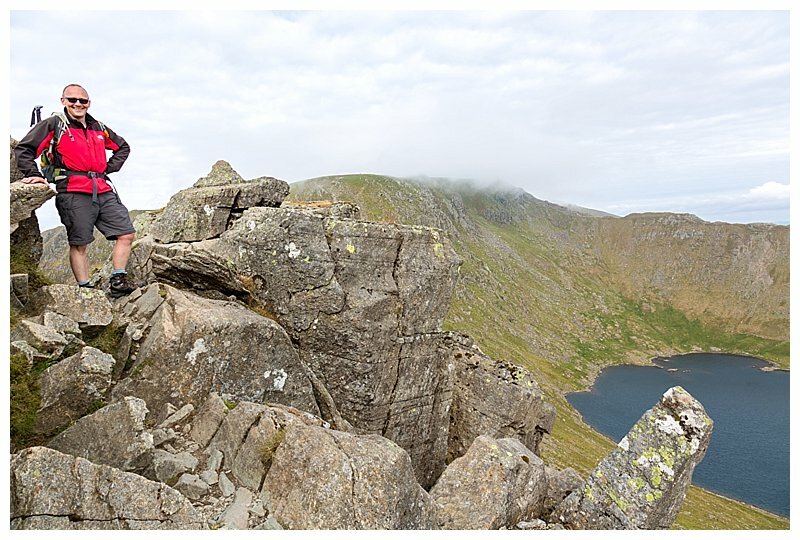 Every person I talked to, said Striding Edge was fine and to not worry as there is a lower path you can take, that hugs in the side of the traverse, so you don’t have to scramble. 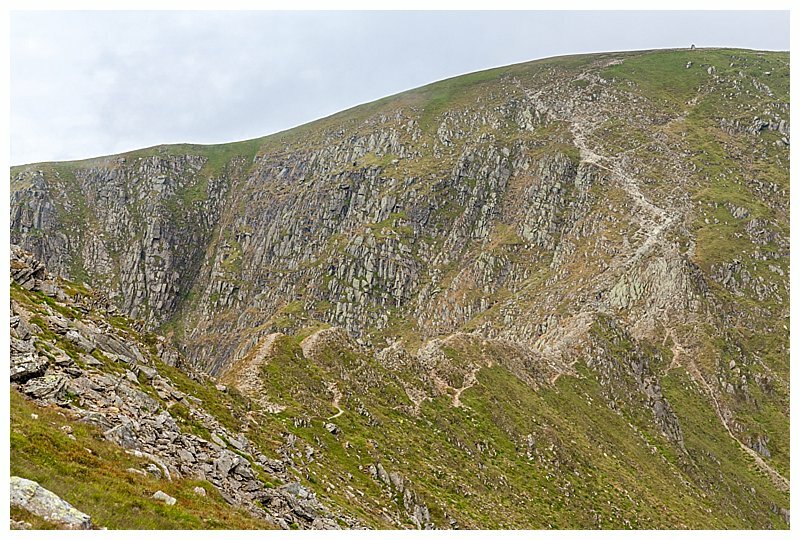 I was not about to take this path though, as I said to myself that I would not say I have done Striding Edge unless I had truly gone over the top. What a fool! 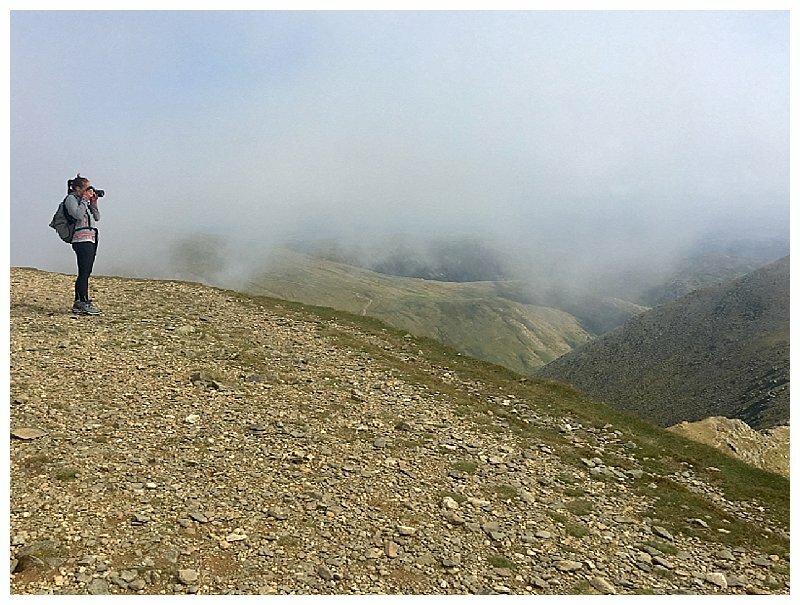 I cursed a lot over the first ‘hump’ and as I reached the second one, the wind picked up and I was in no mood to be brave and dropped down to a lower edge. 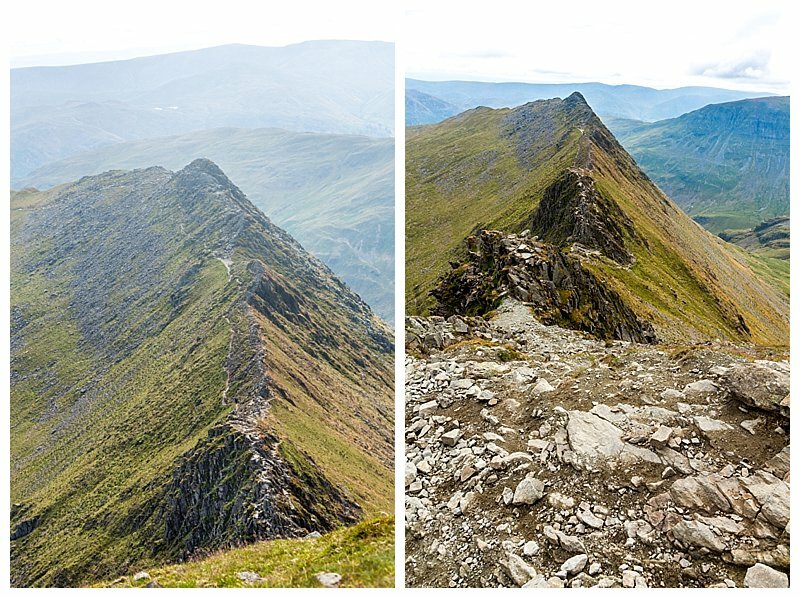 Once passed that, I did go back up to the top of the ridge and we wove our way along the scrambling edge as much as we could on the top. The part for me that I truly did not like was the largest, highest section, where there is no lower path and you have no choice but to scramble over the top. Nobody told me the lower path does not go all the way along and so be prepared for this if you don’t like heights. There was a point when climbing down from this that I couldn’t even reach the lower stones with my feet and I did ‘wuss out’ at this point and froze. Thankfully Damian knows what I’m like and was patient enough to let me have a hissy fit and then guide me down. After this, plain sailing. 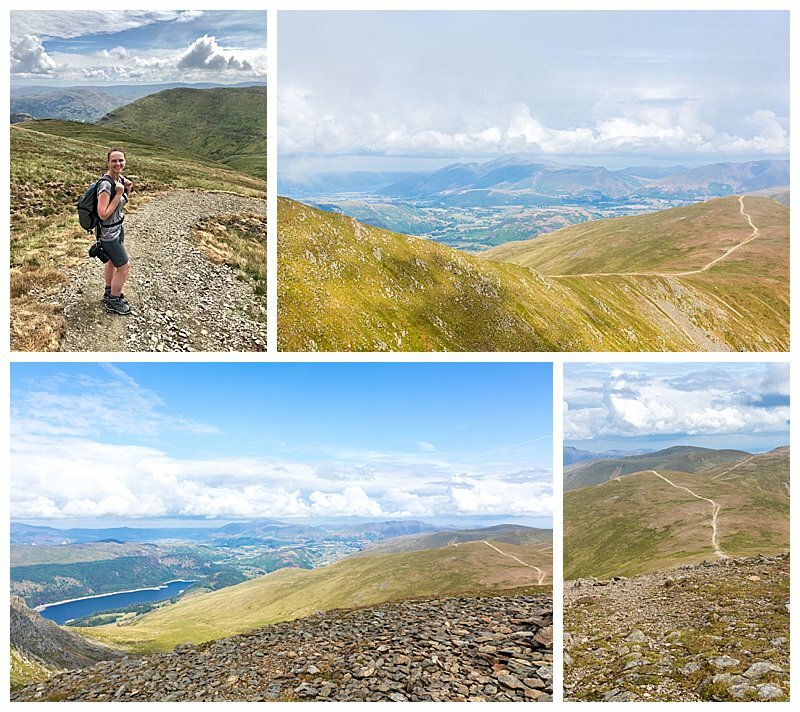 You reach the 950m height of Helvellyn after a scramble up the last bit of the mountain and the scenery does the all the work from this point onwards. 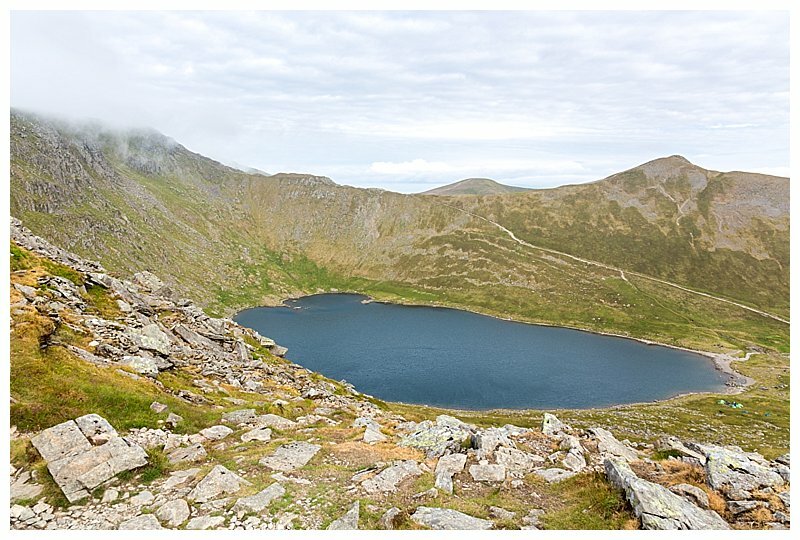 You can take various paths down, with a popular one being to go across Swirral Edge and down to Red Tarn. 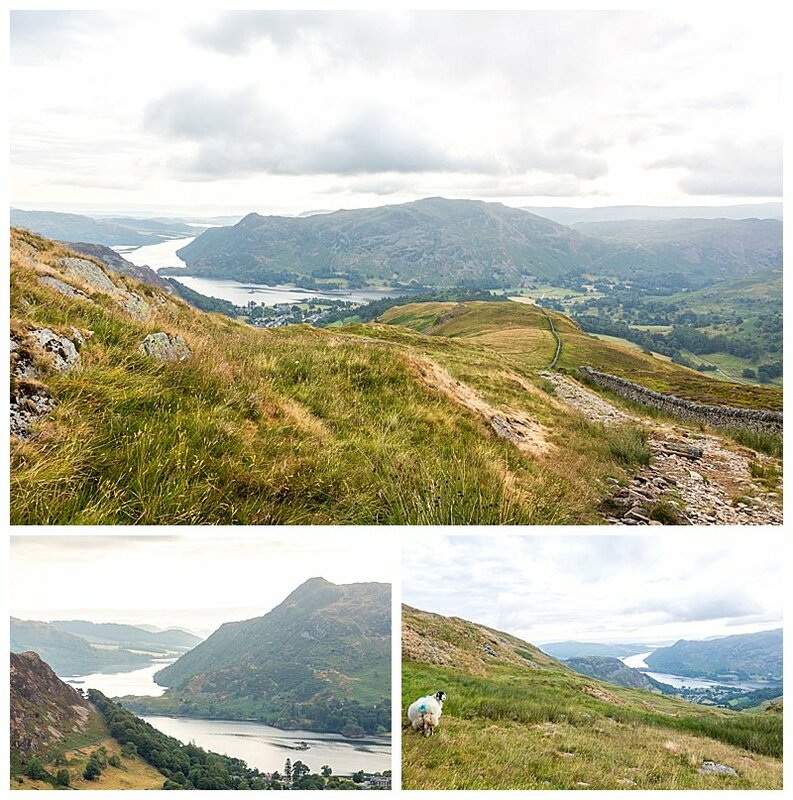 We chose to take the longer path via Whiteside Bank and along Glenridding Beck, which does take in some incredible views over the Lake District. 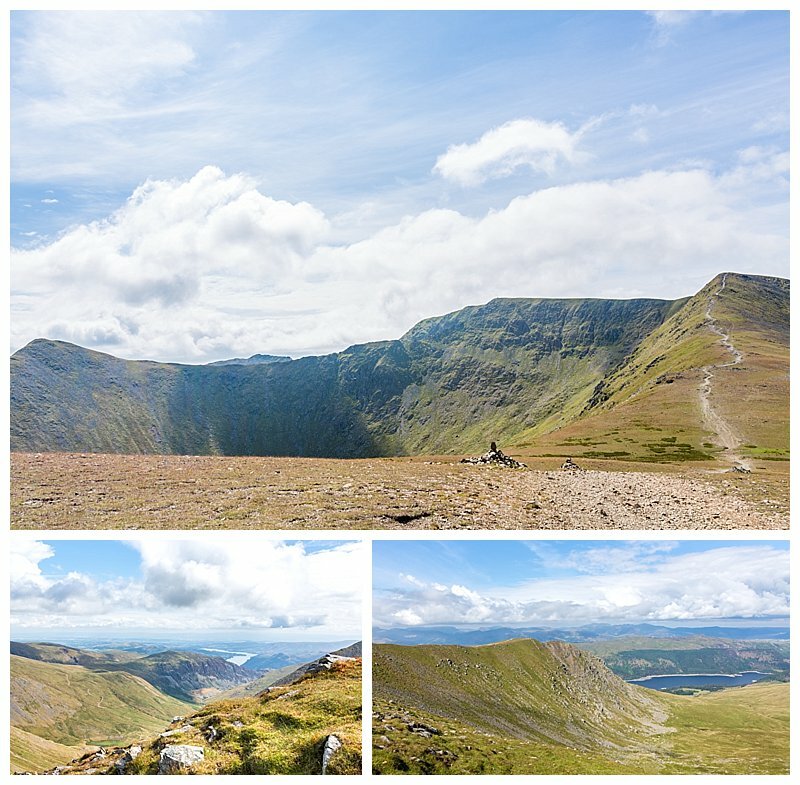 You can of course walk up to Helvellyn without going across Striding Edge at all, so if you do want to take in part of Britain’s Favourite Walk, then it is worth it. 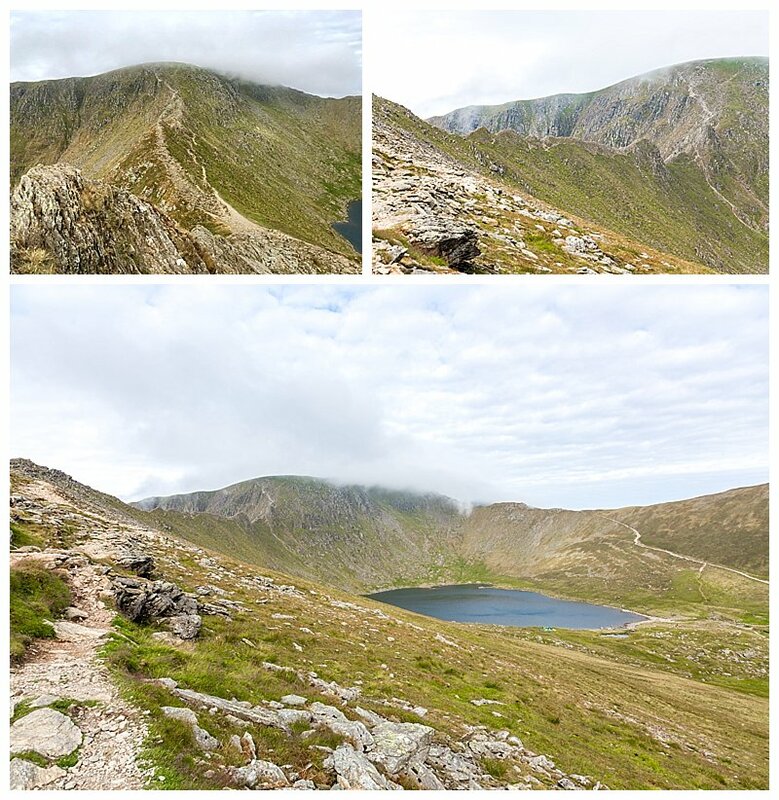 Although I have to say that Striding Edge makes for some spectacular scenery. 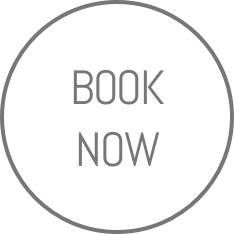 Would I do it again – yeah, why not. 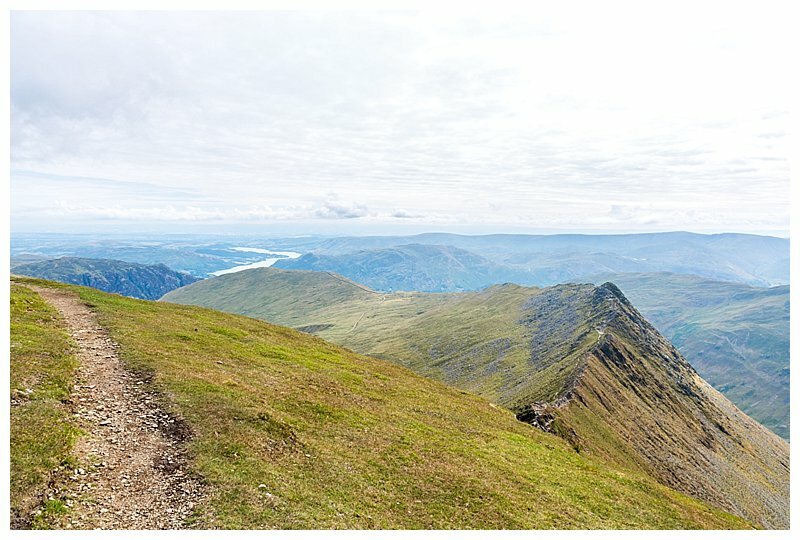 So for real advice and experienced tips, I would research various organisations online such as the British Mountaineering Council, or even see what the Top 100 walks has to say about it. However, simply from one middle age lady, here are my lessons learned. Have a map and compass because those clouds can come over quickly and I can imagine it is easy to head down the wrong path. 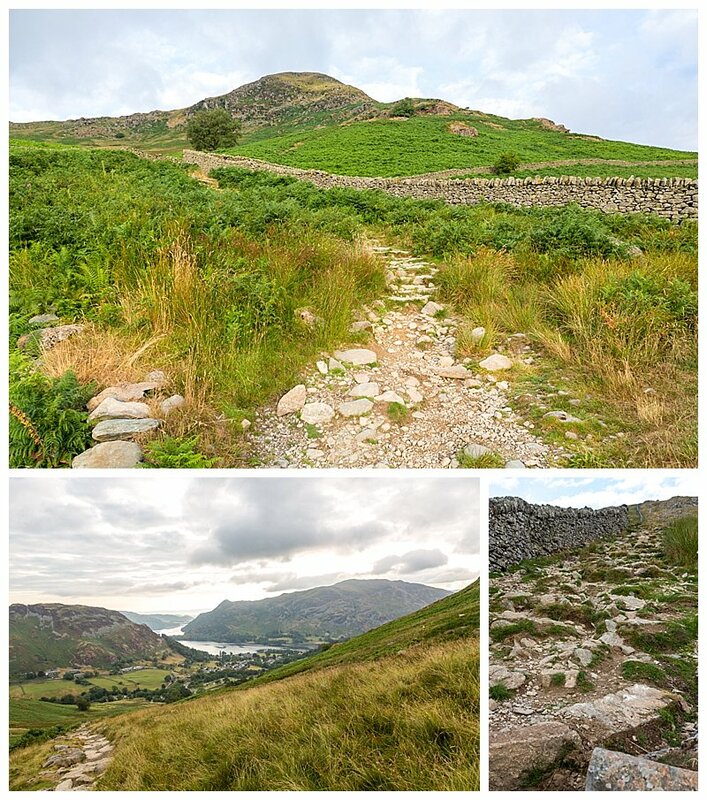 We even had to redirect a few people on their way up in the sunshine because they had missed the path they needed. Wear footwear that is not going to slip. I’m not sure I’d have felt as confident on those rocks in my converse, as I did in my walking boots. 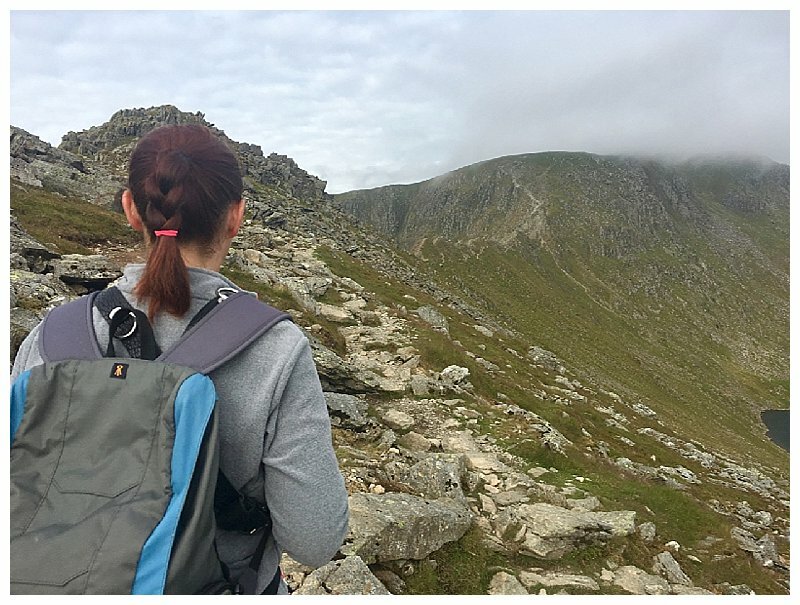 Carry light, as even my small camera backpack caught on a rock and I can imagine if it is busy with people, it could be tricky on the narrow paths of Striding Edge with tents and big rucksacks on. 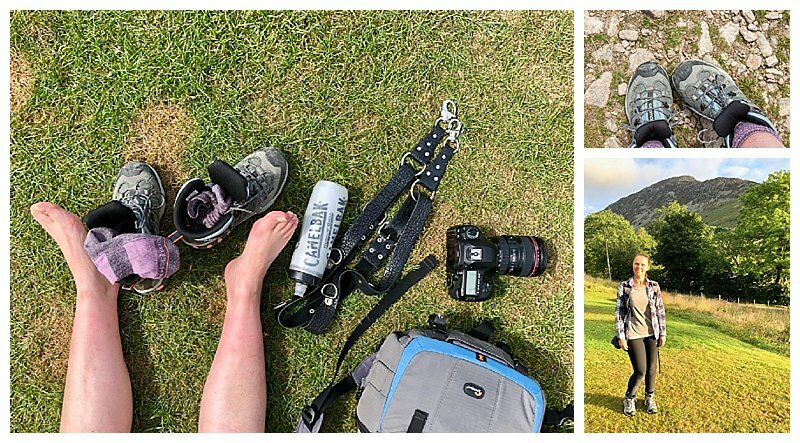 I normally wear my camera attached to my Holdfast strap that I trek in all the time, but even I packed my camera away for Striding Edge so nothing was hanging down. 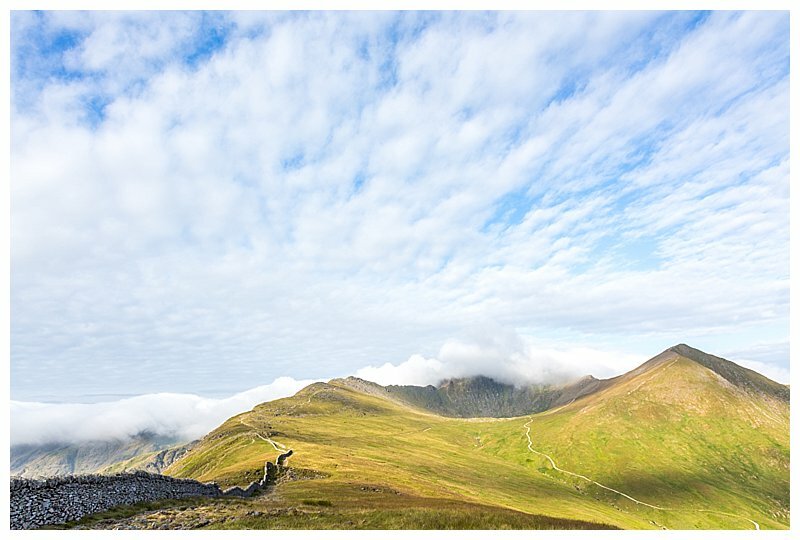 This was a tough decision, as often my camera is the distraction to calm me when I don’t like the heights, or edges. Layers of clothes are always advised for walking, but I found it useful even for this short walk. 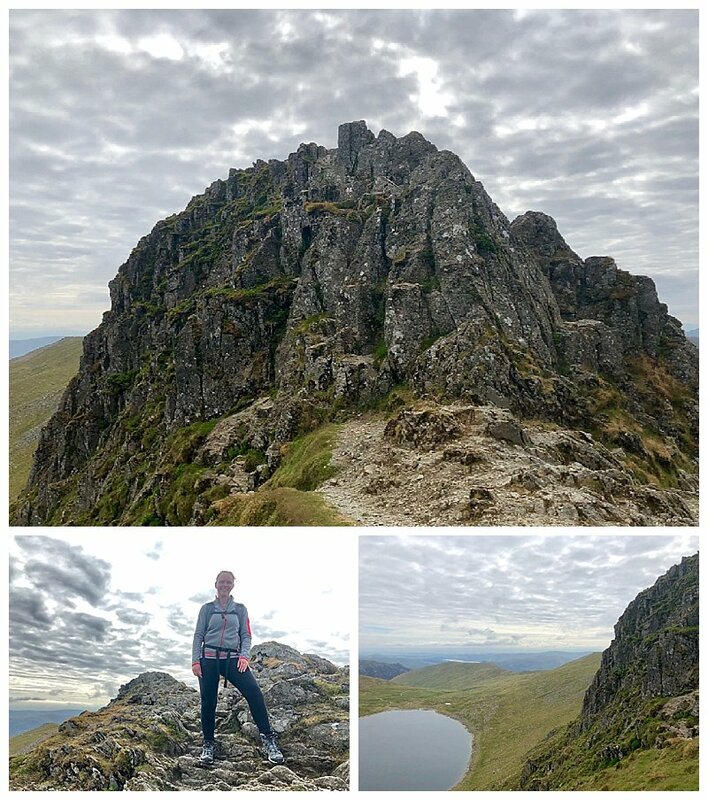 I found my running /fitness leggings perfect for scrambling over the rocks, needed a warm layer as the clouds and wind came across at the top and quickly swapped into shorts for the sunny walk down. My best tip is if you’re nervous go early to avoid people being behind you. 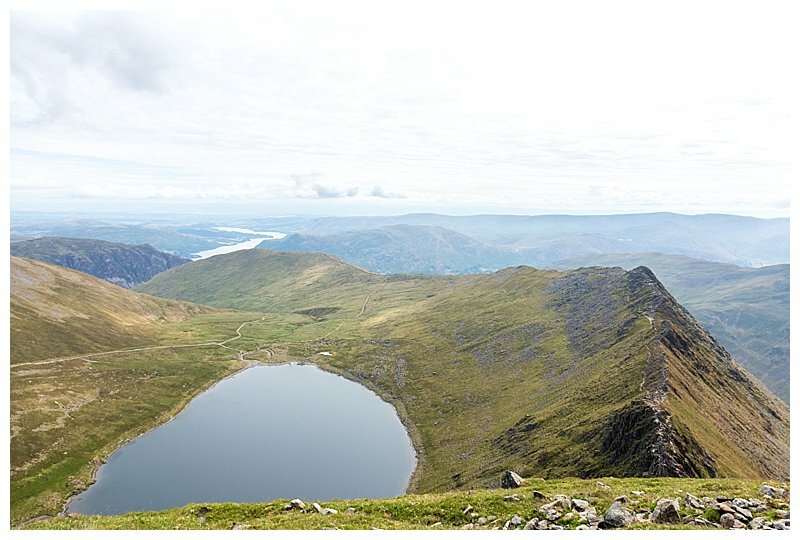 Go with an experienced mountain walker and take your time. 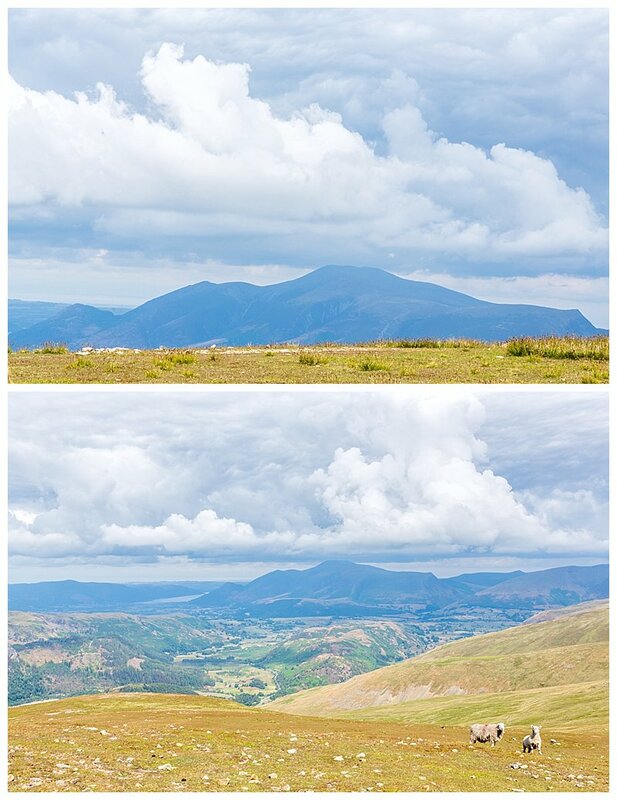 The views are wonderful and really worth the effort.